Made a late afternoon visit and was unable to spot the peregrines anywhere around the Clock Tower…..when just a bit of movement caught my eye. 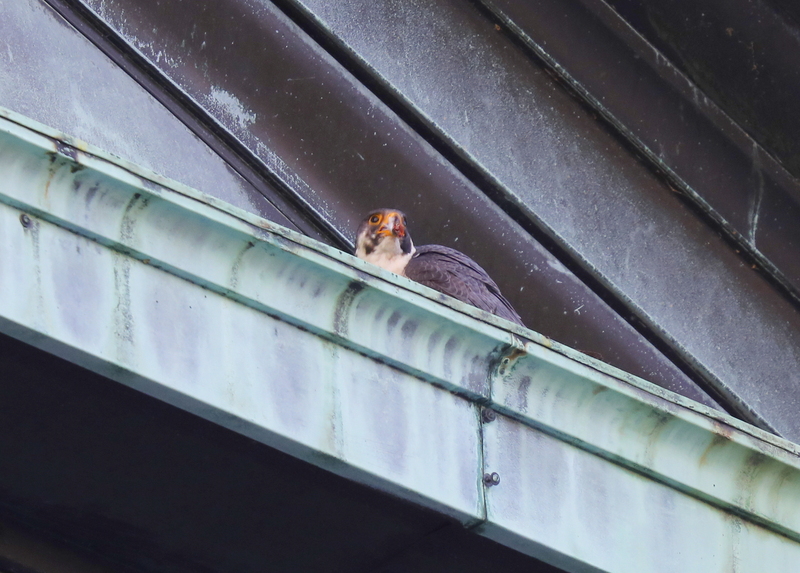 It was one of the peregrines, on an upper ledge on the south side of the main building on Merrimack Street. It was clearly feasting on a late day snack but doing so solo and enjoying each moment!